Guided by the powerful donors and lobbyists from Planned Parenthood (and their own misguided view of what women’s rights should mean), Democratic politicians are quickly moving well beyond the mainstream when it comes to their abortion policies. While laws proposed (and, in some cases, passed) in New York, Virginia, New Mexico, and elsewhere have moved the abortion needle to a much more extreme place, the majority of Americans – even those who consider themselves pro-choice – are not on board with the radical agenda. It may be only a matter of time before the party invites an enormous backlash. A new YouGov.com poll of Americans shows just how wide the divide is between Democrats in Washington and other seats of power and the people they represent. According to the survey, 79% of Americans do not approve of abortions being performed in the last three months of a pregnancy – the exact ban which was lifted by the recent law in New York. 80% object to abortions being performed the day before a child would be born, and 82% say medical care should be provided to viable infants, even if they were the product of a failed abortion. When you drill down to just the pro-choice portion of the population, the numbers still look bad for Democrats. 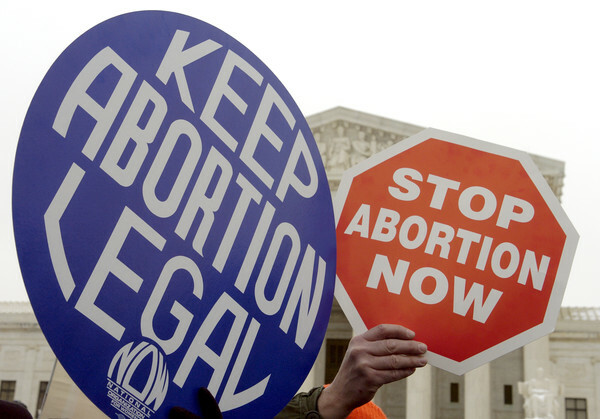 66% of people who claim the pro-choice label are still against third-trimester abortions. A full 77% say that medical care should not be denied a viable infant. And for once, these numbers aren’t trending to the left even when you look at only young voters. Among respondents who are under the age of 34, 69% say they oppose abortions in the last three months of a pregnancy. Again, Democrats apparently support all of these vile “rights.” So much so that they refused to vote for a bill last week that would have confirmed the need for doctors to perform lifesaving care for a baby born alive in the event of a botched abortion. After years of running away from the extremist label in the abortion debate, they are now embracing it. Politically, this gives Republicans an opening wide enough to drive a truck through. Americans may be skittish about seeing Roe v. Wade overturned, but if Republicans can emphasize the extremity of the Democrat position on abortion (Trump did a masterful job of this at the State of the Union), there is room to reach moderates on the issue. It could be the first step towards taking back the abortion narrative from the likes of Planned Parenthood and Gov. Coonman of Virginia.